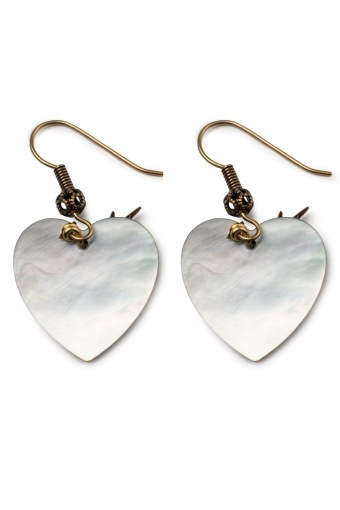 Handmade 60s Birdy Heart Mother of Pearl Leaf earrings gold, especially made for TopVintage! 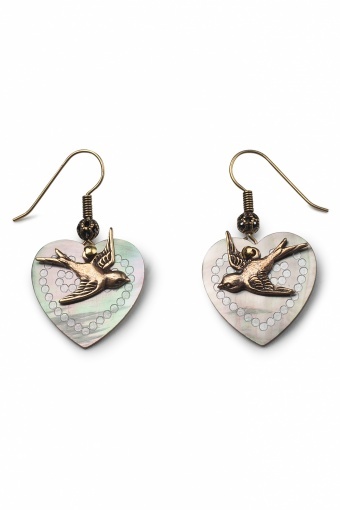 Lovely delicate small earrings with a cute heart made of mother of pearl and a little gold-plated swallow. 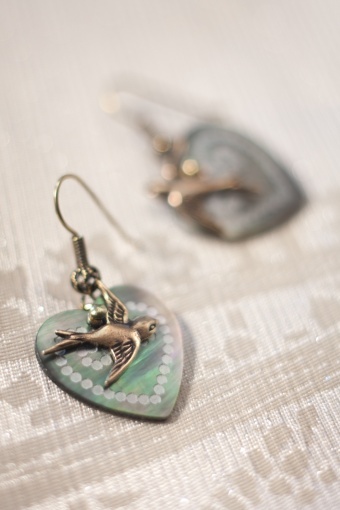 Timeless beauties!